A name which a positive individual gave me as a child. Being rostered for The Hinnies. 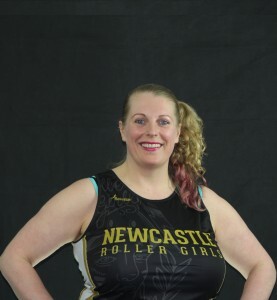 Skating was a huge part of my childhood as i was in a figure skating team.I saw a link to Newcastle Roller Girls and I went from there. Remembering how much I loved to skate! Taking out ref – was back blocked with force.